High-end case maker Element Case is known to make the headlines each time it produces a new case, and of course it means that we're all in for a one sweet treat that is sure to leave behind a few cavities in the form of a significant dent in the wallet department. 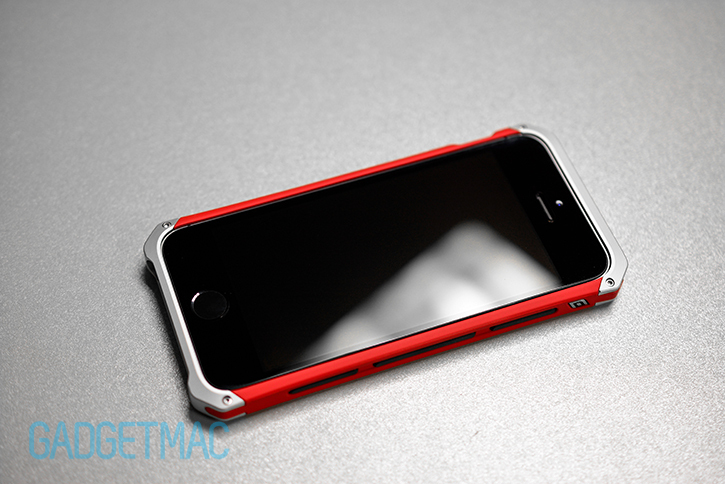 But this time things have changed since we reviewed the hybrid Sector 5 bumper turned case. What once were lavish and over engineered case offerings with a closely guarded bulgy price tag, are now a bit more down to earth and a lot more sensible than ever before. The perfect example is Element Case's new Solace case for the iPhone 5s and iPhone 5, the company's latest premium case with a lethal modern interpretation of the pricy Ronin case, but with a price that's somewhat easier to swallow. The Solace case features a hybrid design with svelte styling and bits of high-grade materials of which Element Case is best known for - machined anodized aluminum alloy. We'll tell you more about it in our full review after the break! The Solace combines cues from Element Case's Ronin and the now discontinued Vapor Comp hybrid machined aluminum cases to form an all-new body constructed out of one durable polycarbonate-made chassis featuring CNC machined aluminum top and bottom crowns. Now although the plastic part on the Solace takes a huge chunk of the construction, it definitely feels superior to other plastic-made cases and the quality of the Solace in its entirety is worthy of its price tag. And although it has key elements with previous Element Case cases such as the Vapor Comp and of course the Ronin series baked into its DNA, the Solace isn't a bumper-style case. It has a fully encased back design with no option for switching between various tactical composite and leather backplates which is possible with all Sector 5 and Ronin offerings currently. Speaking of which, the Solace case will set you back $80 which isn't exactly a small price to pay for an iPhone case. That being said, it's also not what you'd call an ordinary case nor is it as expensive as some of Element Case's elite offerings such as the Sector 5 and the Ronin breed of iPhone 5s and iPhone 5 cases. After you've set aside the sum, you probably would also like to know that the Solace is available in a few color options. More specifically satin black, Italian red, pearl gray metallic and deep blue metallic. So what's the difference you ask? 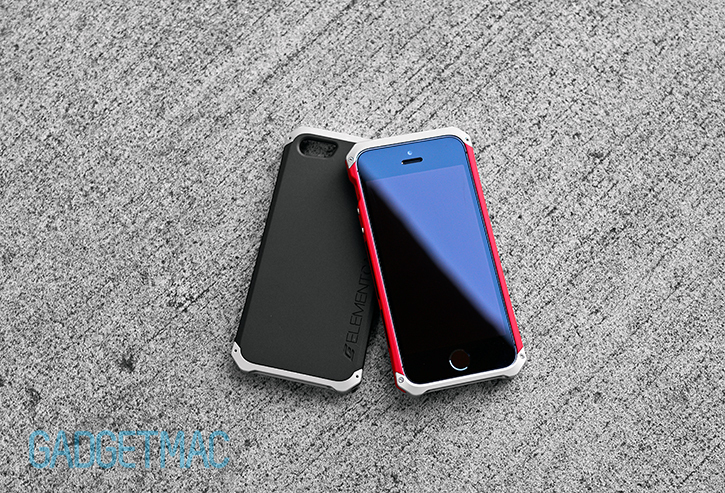 Well as the name suggests, both the blue and gray colored Solace cases actually have this subtle metallic-like sparkle-flake finish as oppose to the flat and solid red and black colors. And although our awesome friends over at TekCases were kind enough to send over both the Italian red and deep blue metallic flavored Solace cases to check out, with the help of editing we also have what looks like the satin black colored Solace case, albeit a conversion so that you can get an idea of what these colors look like realistically. And I've gotta say, they're all oh so beautifully complimenting of the iPhone 5s. But no matter which color you choose, the aluminum crowns will always remain the same raw silver aluminum, but that's fine because the silver aluminum matches nicely with every color regardless of which iPhone you are rocking. It's worth mentioning that the deep blue metallic color is exactly that, a deep and dark shade of blue. You can call it navy blue in fact. It looks bluer out in daylight, but indoors this color almost looks black. It's definitely a very elegant, mature color next to satin black and it has managed to grow on me over time. But I still love that rich Italian red hue which looks really sporty when encasing the space gray iPhone 5s or the slate black iPhone 5. 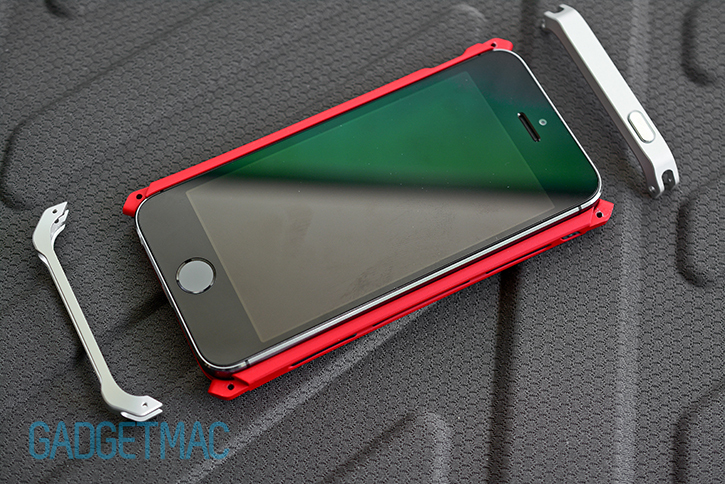 If there's a company that knows how to perfect cases made from aluminum and plastic...it's Element Case. Over the years we've seen Element Case improve how these premium stylish cases handle reception and the enjoyment of creature comforts like handling with each and every new follow up including the very latest case for the iPhone 5s - the Solace. Now while not nearly as unique as Element Case's limited edition $400 RoninTitanium G10 case, the Solace has its own thing going for it and we really like its svelte sleek styling. And like the Ronin series of cases, the Solace provides an ergonomic grip thanks to its bowed shape which is slightly slimmer and narrower in comparison making the Solace Element Case's most comfortable hybrid case to date. This also means that the Solace changes the original lines and shape of the iPhone 5s, but in a very good way I consider to be refreshing. The polycarbonate section of the Solace is finished with an amazing subtle, matte soft-touch texture which makes the case feel great in the hand while also providing additional grip. This rubbery coating however does show oily fingerprints which can be wiped right off. And overall like most Element Case cases, the Solace is refined all throughout. I wasn't very keen on that large Element Case logo plastered across the back, but since it is embossed into the material it actually isn't too bad but should have been much smaller in footprint. Especially when there's another tiny brushed metallic emblem logo on the top right hand side of the case which looks great in comparison. As for those aluminum machined top and bottom crowns, well while they might not have Element Case's signature Flux-finish, they are bead-blasted to a smooth and refined matte finish that blends nicely with the soft-touch coated polycarbonate chassis. You must be thinking there would be some reception issues when using the Solace, however, because the aluminum crowns are positioned directly at opposite ends of the case there's nothing that is blocking the iPhone's antennas and so we haven't found any signal degradation at all. Element Case wasn’t kidding when it said the Solace is an ultra-sleek and slim-profiled case. It’s all that without feeling too vulnerable, but instead the Solace creates this highly-protective border strengthened with lightweight metal and very sturdy polycarbonate. That only drawback as far as protection goes is where the Solace protects the front of the device. There’s a minimal lay-on-the-table design that elevates the display from the surface and this is great for keeping the Solace’s profile a minimal and as slim as possible, but if I’m honest I wouldn’t feel comfortable dropping my iPhone and it landing face down onto pavement or worse, a sidewalk with tiny rocks scattered on it. But that same can be said about literally every other case out there. You might be happy to know that the Solace does offer a compatible surface area for all types of tempered glass screen protectors. But again, because the lip around the iPhone is very minimal, you’re tempered glass screen protector will either sit flush with the case itself or go beyond the edges thus exposing it as if you were using your iPhone without a case at all, which isn’t necessarily a bad thing depending on who you ask. All along the both sides of the Solace are these black rubber side grip details which don't necessarily add more grip than you'd think, but rather serve more as an aesthetically pleasing trim detailing which are welcome and actually add value to the overall design of the Solace. The soft-touch rubbery finish of the case itself is what really grabs onto your skin creating this secure feeling of traction that we really think is important when it comes to using protective cases. I can't stress enough what difference this finish makes, because if the Solace had been all glossy, I don't think that it would have been as good as it is now. And it is really good. But how good, or better put, how durable is that soft-touch finish? Like all rubbery finished surfaces, the Solace's matte soft-touch finish is merely a coating. A painted on texture that will inevitably scratch off little by little if you're not careful with how rough you get with your case. It's evident that this finish does indeed peel off when looking at the joints where the aluminum crowns fit into place causing friction which reveals the white base paint coat and finally the uncolored black of the polycarbonate plastic. When it comes to putting the Solace on your iPhone, it's not a quick process. You must first remove all four screws using the supplied keychain SpeedWrench tool, remove the two top and bottom aluminum parts and only then will you be able to actually put your iPhone into the polycarbonate chassis section of the Solace. I wish it was as easy as snapping in the iPhone without having to remove any parts, because otherwise unscrewing and screwing together four screws does take time and it doesn't make the Solace a simple case to use if you like switching between other cases. Because once it's on, it becomes a part of your device even when it looks as if it only barely surrounds the bezel of the iPhone from the front. It's also worth mentioning that the interior matches the exterior with the same soft-touch coating. 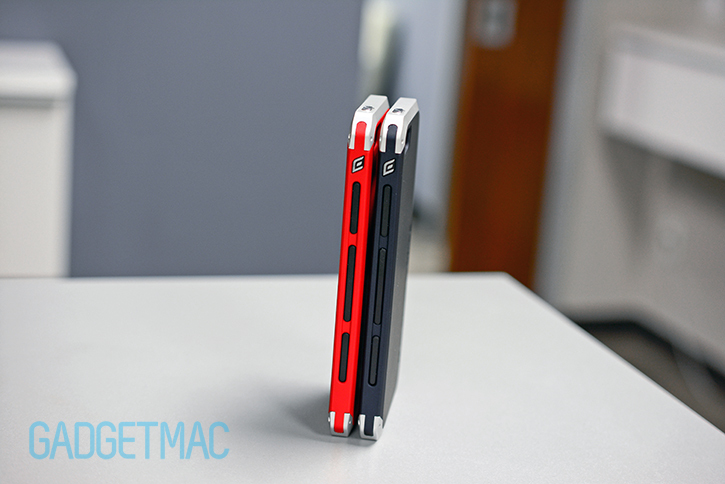 The Solace snaps onto the iPhone like any normal snap-on case once the top and bottom parts are removed. Removing the iPhone from it can be done with little effort as well. And in case you were wondering, the polycarbonate chassis has been designed to protect the iPhone from all four corners and edges so no metal-on-metal contact is ever made once the aluminum crowns are fastened. On the left side of the case is where you'll find some of the attention to detail that the Solace features. There are integrated volume buttons which are individually machined out of aluminum and offer great tactile button press feedback when pressed. Right above is the cutout for the silent switch. The whole area has been carefully carved into a wide slope leading to a shallow surface to allow easier access to the switch which you can easily get to without having to use your fingernail. Looking at the top part of the case is yet another integrated button that functions as the sleep/wake button for the iPhone which is also made out of a piece of aluminum and offers great tactile feedback when pressed. 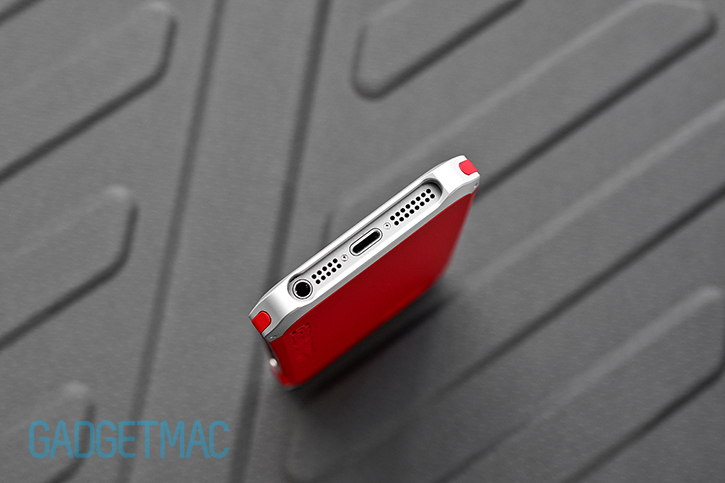 The bottom opening machined into the aluminum crown may be recessed which isn't a surprise, but it's one wide opening allowing easy access to the iPhone's Lightning and 3.5mm audio ports. You'll be able to fit practically any Lightning Apple connector adapter and up-to-date 3.5mm straight or L-shaped headphone jacks. The camera opening has been poorly implemented as it does cause minor color washout when using the dual LED flash at night, but it also looks great and doesn't expose any part of the iPhone's two-tone aluminum back design. After numerous extensive reviews on Element Case cases, I still get a kick out of reviewing and testing out new EC cases and not once have I been bored by their captivating styling. They're one of the very few that have the capability of genuinely putting a smile on your face. Back on topic though. We're so impressed by the new Solace case, we genuinely believe that it's arguably the illest lower-cost case Element Case has ever put into production. Don't get me wrong though, the Sector 5 is still the most fascinatingly intricate piece of kit we know of which is why the Solace comes in second place when talking purely about impressive design. And if domestic manufacturing is important to you, you should know that the Solace isn't entirely made in the USA except for it aluminum parts. The Solace is my most favorite case out of all the countless cases Element Case has put out over these years simply because it's extremely and unequivocally practical for its hybrid aluminum and plastic design, yet it still looks like a case you'd want to be encasing your $650+ device. If you feel like splurging over an iPhone case that's different from what other case brands have to offer, this is one hell of a good way to do so. 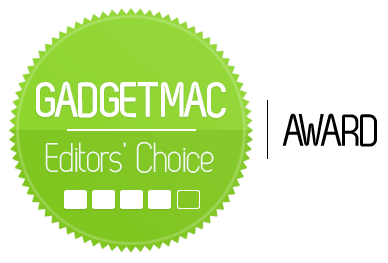 The Solace is worthy of our Editors' Choice Award for being the type of case we'd personally love to use on a daily basis and that means it's also an excellent pick despite the very few and minor caveats mentioned earlier.